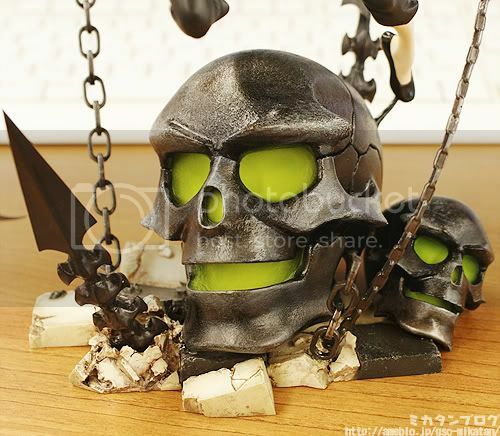 Multiseven et Cetera: Sneak Peek: Dead Master - Animation ver. 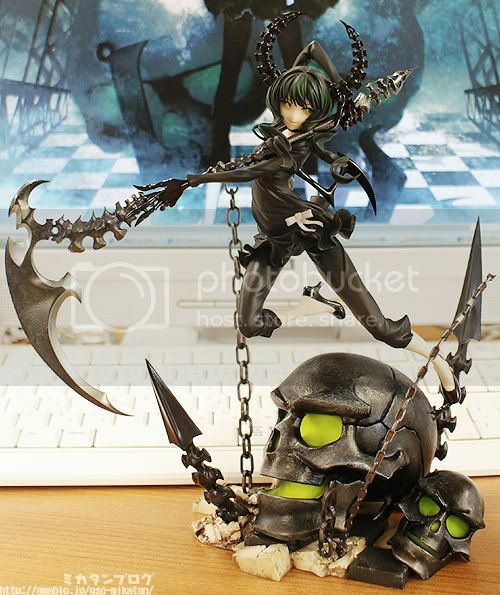 Here is a sneak peek of Dead Master Animation version 1/8 PVC figure from the popular anime Black Rock Shooter manufactured by Good Smile Company. 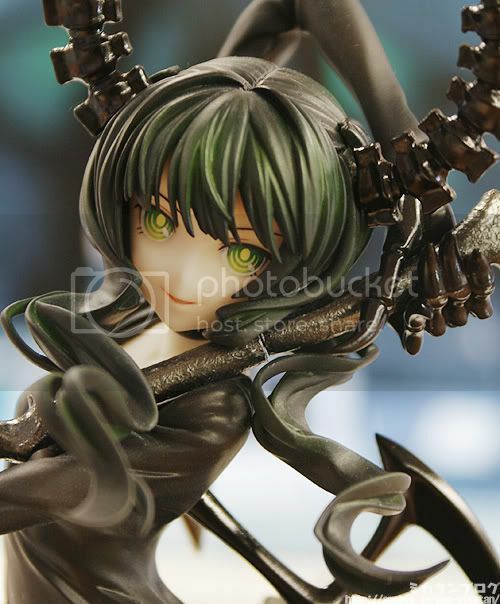 Mikatan has updated their blog with another preview of upcoming GSC's Dead Master Animation version. 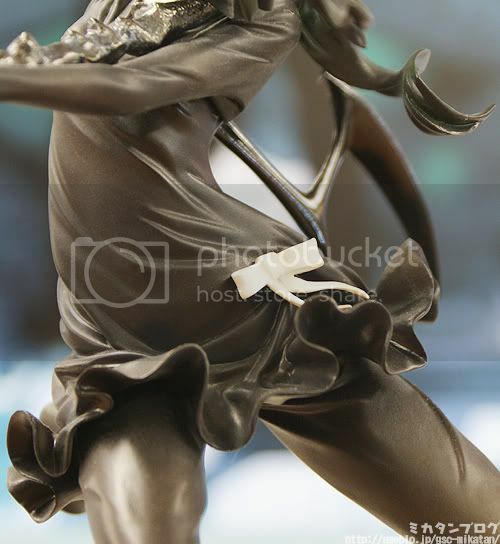 However, this figure has already been displayed so many times before through different events, but GSC still haven't announce its intitial release or price. 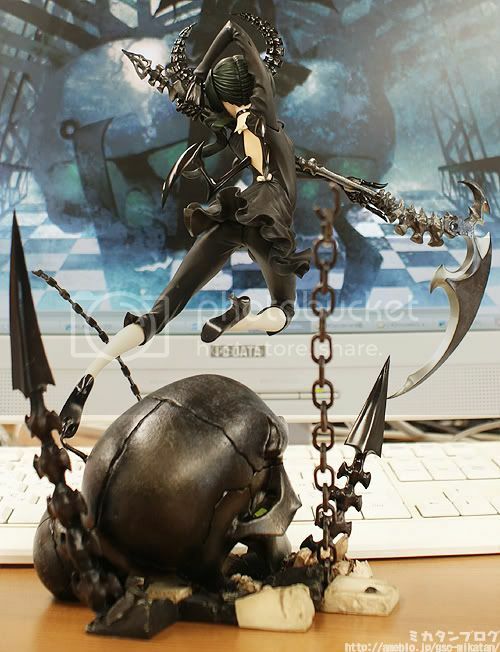 As good as the usual BRS figures, this Dead Master animation version looks promising with its dynamic pose. 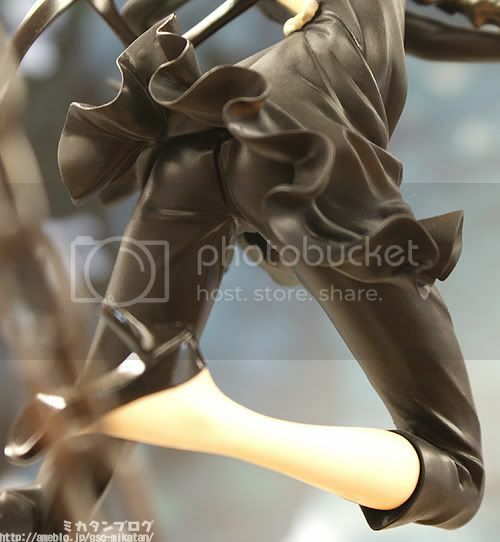 Her eyes are absolutely stunning! 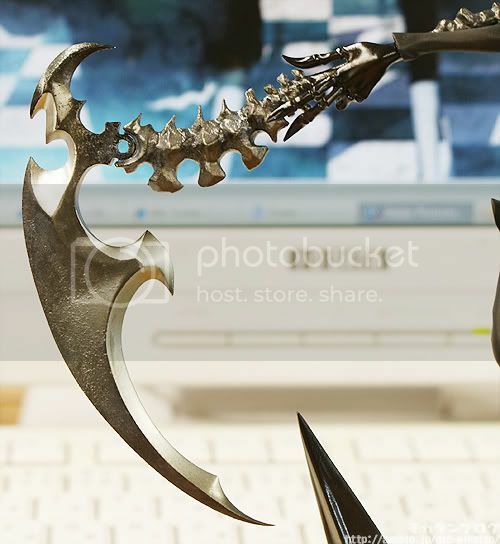 The painting on the scythe gives it a lovely metallic feeling, and even the stand base itself has incredible detail! 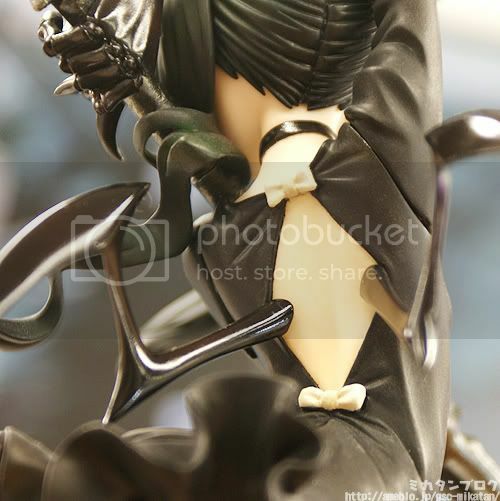 Both release date & price are still unknown, but the reservation of her should be opened soon.